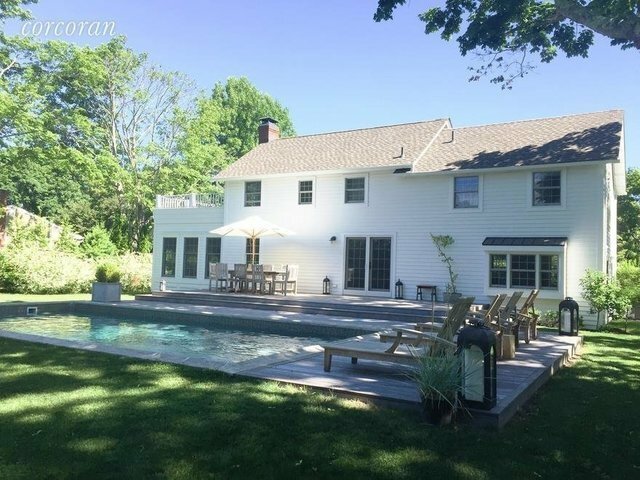 Located on a premier street in the Hamlet of East Quogue, this Traditional home has period details yet exudes a modern vibe and has everything you need for an enjoyable vacation. Four bedrooms, three bathrooms, open floor plan for entertaining and a gathering room surrounded by glass windows. Large deck overlooks the inground swimming pool and manicured grounds. Minutes to the Jitney stop, shops, restaurants and the East Quogue Village Park.